As many as 2,372 people were booked across the State on Tuesday for bursting crackers beyond the stipulated hours fixed by the SC. CHENNAI: Three cheers to Chennai and the accolade must go to its citizens. Where other major metros are struggling to keep pollution levels in check, especially during Deepavali, Chennai has managed to record lowest levels this time. Although clear skies and sea breeze has helped disperse pollutants faster, it was finally the people of Chennai, especially younger brigade, who decided to go green and say no to fire crackers. There has been a drop in sales of crackers and the sparklers and non-noisy aerial shots are the most sought-after. The Tamil Nadu Pollution Control Board (TNPCB) is monitoring the ambient air quality (AAQ) both pre-Deepavali and post-Deepavali in five locations in Chennai — Triplicane, Besant Nagar, Nungambakkam, Sowcarpet and T Nagar — and the data released on Wednesday shows the particulate matter (PM2.5 & PM10) was within the permissible limits in all five locations, except in Sowcarpet where PM10 marginally crossed the standard mark of 100 µg/m3 (micrograms per cubic metre) recording 114. Rewinding to 2017, the city choked under thick blanket of smog as pollution levels jumped eight times and several morning flights were cancelled. Except Besant Nagar, other places clocked over 500 µg/m3 of PM10, which is hazardous. However, the noise levels remain a concern this year too as all stations breached prescribed standards as last year. In fact, T Nagar has recorded higher decibel levels of 89 dB(A) compared to 77 dB(A) in 2017. TNPCB chairman Shambu Kallolikar has thanked people for keeping pollution under check. “Besides SC guidelines and awareness campaign, there was visible change in people’s mindset,” he told Express. 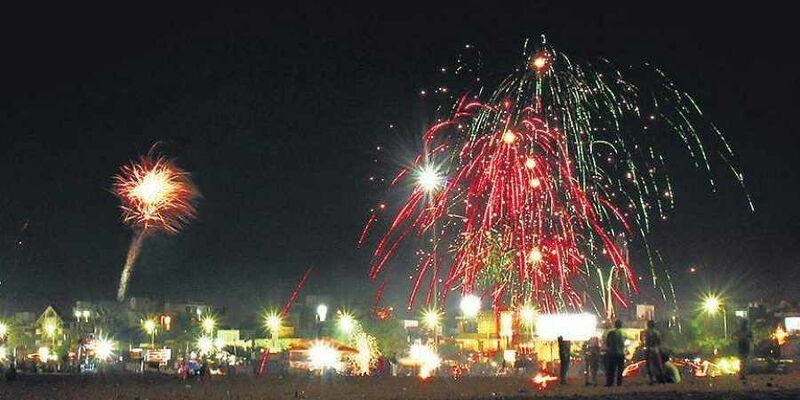 Chennai: As many as 2,372 people were booked across the State on Tuesday for bursting crackers beyond the stipulated hours fixed by the SC. Chennai topped with 359 bookings. In Kancheepuram, 79 cases were registered and in Tiruvallur, 105. Madurai city police registered 134 cases. In Coimbatore (114), Tirunelveli (109), Tiruchy (45) and Salem (44) too there were bookings.